There are about ten days left in April, and the sports world should be buzzing all day about the NBA Playoffs, the Stanley Cup Playoffs, and the MLB regular season, with some time given to college football spring ball. 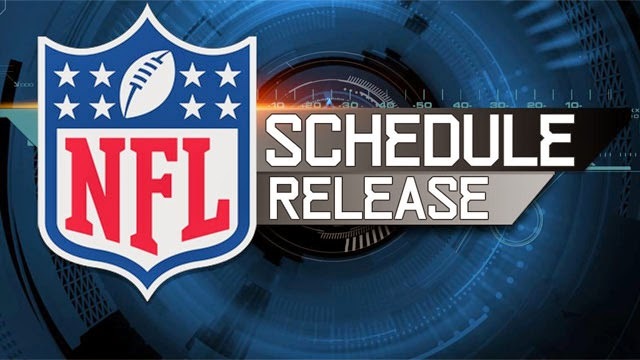 Instead, the NFL has all the headlines today, and probably until the beginning of May, thanks to the 2015 schedule release and the NFL Draft. This is not to say that all current publicity around the NFL is good, and indeed there are many examples about how the league could very well be in serious trouble, but the marketing of the good parts of the league has been so brilliant in recent years that we are excited about paper. Because that’s all a schedule release is. And unlike college football or MLB schedule releases and off-season moves where we are really just excited about our own team, the NFL has somehow wormed its way into the public consciousness so much that people who have never been to Green Bay are excited for the Packers and Bears on Thanksgiving night. 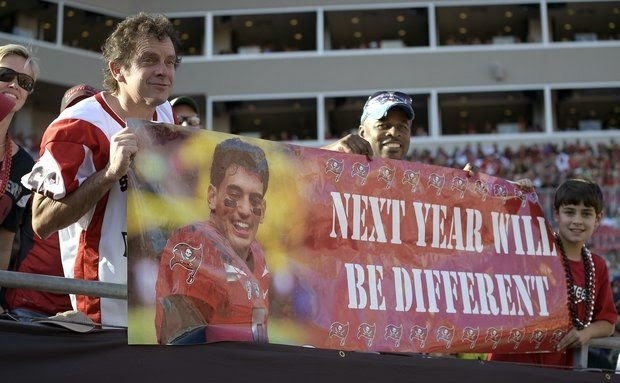 I have never been to Florida yet I want to know if the Tampa Bay Buccaneers are going to pick Jameis Winston or not. The NFL only plays official games between September and the end of January/first days of February, five months out of the year and for the most part only once a week (Monday and Thursday night games only involving four teams out of 32 every week). Yet the league is now a year-round obsession, and fans are interested in what every team is up to. Fantasy football means that people who have never been to Philadelphia are studying the Eagles quarterback situation. Rams fans are very curious about the Dallas defense. And that means there are people who will pick players based on an “easy” schedule and are always looking for the next hot rookie. That’s why the schedule release and the draft have become so important. It’s why we’re excited about paper. It’s why instead of the national sports talk being that the New York Mets have the best record in the National League (I swear to you this is true), we are wondering what sort of dog the NFL is forcing NBC to have in one of the “Flex” games that they will switch out for Indianapolis, New England or Dallas as soon as possible. You know there will be one. The Golden State Warriors trying to win their first NBA Finals in 39 years? The Montreal Canadiens return to prominence? The Mets potentially actually being good? Nope, it’s all about paper. The government should hire these NFL marketing people to make people excited about what the country’s up to. In six months we’d all be excited about road projects in Montana. Don’t laugh, because at this point we’re all wondering if the Tampa Bay Bucs won’t somehow screw up the number one pick. It appears not everyone wants Famous Jameis.